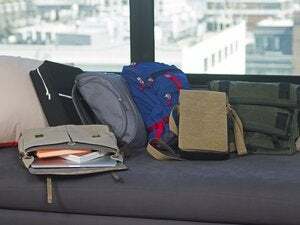 WaterField Designs on Tuesday introduced the HardCase, a new leather carrying case with custom sizes specifically for the MacBook, MacBook Pro and new MacBook Air. The case is priced from $229 to $249 depending on size. The HardCase features a dual-leather flap and paraglide buckle, with your choice of interior colors and either nickel or matt black hardware. The case also features protective foam and impact-resistant plastic to keep the laptop from being damaged. The HardCase marks the third case that WaterField has created in a custom size to suit the MacBook Air. The company also has rolled out versions of its SleeveCase and Racer-X cases for the MacBook Air.